High Life speaks with wellness experts Dominique Lonchant and Buathon Thienarrom about how breathing the right way can improve our overall health. Most of us never pay attention to how we breathe in everyday life. In highly polluted areas, air might even be considered harmful to the human body. For breathing master Dominique Lonchant and wellness expert and psychologist Buathon Thienarrom, taking air into the body and letting it out in the correct manner can transform the mind and the body into a healthier state. At the spa inside Mandarin Oriental, Macau, they generously share their wisdom with High Life. For decades Lonchant has been coaching people to breathe with his carefully designed exercises which aim to open up the chest and let air deep into the lungs. “When I was young I was not doing well in school. Then one day I decided to go to Sri Lanka to train with a yoga master,” he explains. “After that I developed a series of breathing exercises to help people lead a healthier life. “My exercises basically rewire the brain for the body to breath in a different manner, because when we are breathing, we are not thinking about it. After one session with me one will feel the difference right away. One of the exercises Lonchant teaches instructs people to kneel while using their hands to touch their toes. With the body arched back, the chest is opened and air is able to flow deep towards the abdomen. After just six times breathing in such a position, one can hear that even the sound of each breath is different. 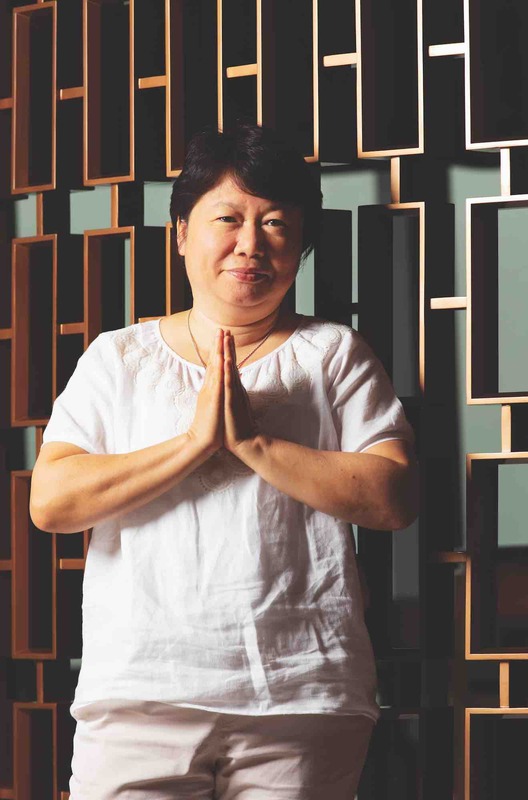 Knowledgeable in Taoist and Tibetan medicine, wellness expert Buathon Thienarrom takes a more psychological approach to training her patients’ minds using her breathing methods. “Breathing can relax the mind and bring the body into a meditative state. When the body is completely relaxed, the mind can release stress more easily. Heat can also exit the body through the right breathing method, which can help the body to balance itself,” she says. To cultivate happiness and get rid of negative emotions, Thienarrom recommends people lie down, put a towel under their chest to open up the area, breathe in deep and, while breathing out, release a “ha” sound. “Mentally, one can send a big smile to the heart while doing this exercise. Whether we are happy or sad, our heart takes it all in, so it is important to be aware of these emotions and learn to let go,” she explains.